1) Banks County is full of talented players. 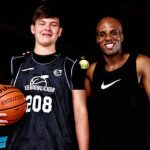 Steve Shedd brought seemingly the entire rotation of returning players to the Elite Basketball Academy Super 64 Showcase in June. Shedd was very clear about the mission at hand: turn the girls program into a perennial powerhouse. Watching this year’s group it was evident early that they’ve built the foundation to do just that. The campers on the floor for Banks tonight included: Kailyn Gilstrap and Lauren Shedd who get special kudos for wearing their #AnyGymIsHome camp t-shirts postgame. 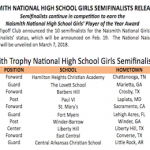 Jaycie Bowen, Allison Smith, Kennedy Smith, Maddie Thomas and Amber Williams are all key contributors to this year’s team. They won tonight 79-63. 2) Maddie Thomas looks ready to turn the corner. 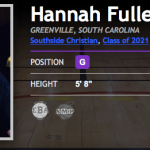 A Class of 2019 grad, Thomas caught my attention with her improved ball handling and perimeter skill over Labor Day Weekend. 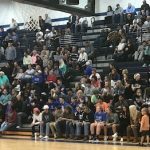 She didn’t waste any time showcasing that same skill to the Banks County faithful putting together a noteworthy 24-point performance in the win. 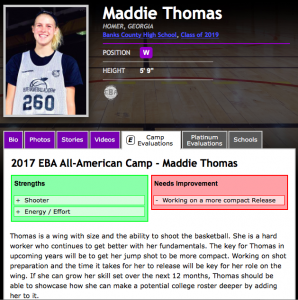 Thomas willingness to attend skill development camps and her positive vibe inside the drill work make her one to watch during the 2017-18 season. 3) Keep an eye on Torrian Starks. 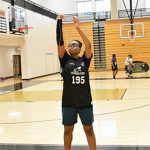 Starks is a dynamic Class of 2019 guard whose play kept Hart County in this girls until the closing minutes. She is at her best weaving through traffic off of the bounce. 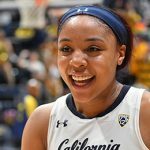 Her play with Darius Taylor’s Team Legacy this summer did not go unnoticed. Starks was back at it again tonight earning a March 3-4 EBATop40 Showcase invite in the process.